SX241.5 Swinging Bucket Rotor, Aluminum. Major applications: Pelleting subcellular organelles, viruses, bacteria, mitochondria, chloroplasts, or algae. Place: 24 Tube Volume: 1.5 mL microcentrifuge tubes Allegra X-22, Allegra X-22R. Max RPM 12,500, 14,000. Max RCF, 12,950, 16,244. 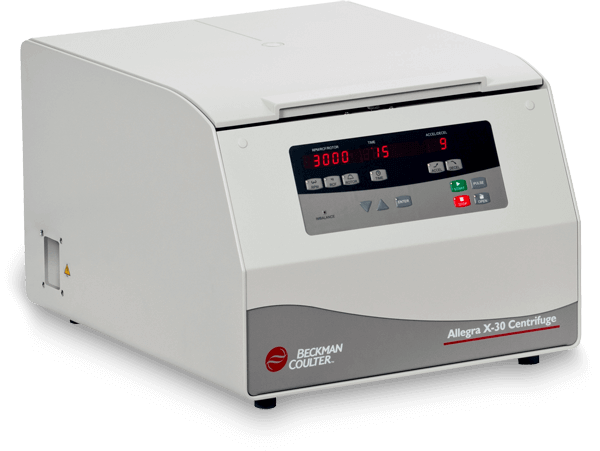 For use in Allegra X-22 Series, and discontinued GS-15 Series and Allegra 21 Series centrifuges.